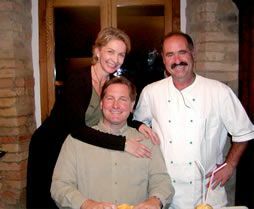 George wanted to surprise his wife Mary Dee with a trip to Italy in celebration of their 25th wedding anniversary. Even though he had traveled extensively for work, George had never planned a personal vacation. George contacted me to support him in designing a trip where George's most important travel requirement was that they could simply kick back and enjoy Italy without being overwhelmed with the planning phase. For George and Mary Dee, this meant expressing what they imagined themselves doing once they reached Italy, which was reading, eating, sight seeing and cultural experiences along with the special things such as shopping for pottery in Deruta and maybe even a cooking lesson or local truffle tour. I was able to match this couple's requests with the perfect region, Umbria and accommodations that were private and in the countryside with knockout views. It would have been difficult and time consuming for this couple to meet their needs without special planning, coaching, and strategizing. The result was a well planned and most memorable 25th Anniversary. 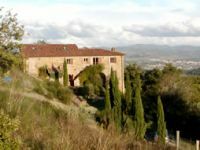 I was able to match this couple's requests with the perfect region, Umbria and accommodations that were private and in the countryside with knockout views.